Every member of the Fed’s Board of Governors is an Obama appointee. That wasn’t supposed to happen. The Federal Reserve enjoys extraordinary independence from the elected branches of government, based on the well-founded fear that politicians cannot be trusted with the power to print money and manipulate interest rates. While the Fed should be independent in setting monetary policy, its ever expanding regulatory powers, which have the force of law, entail a level of discretion that requires democratic accountability enforced by bipartisan oversight and transparency. Because the U.S. was on the gold standard when the Federal Reserve was established in 1913, the Fed had limited control of the aggregate money supply. It acquired control with the effective demise of the gold standard in 1933. Recognizing the political implications of the central bank’s new power, Congress removed the secretary of the Treasury and the Comptroller of the Currency from the Federal Reserve Board in 1935. During World War II, the Fed agreed to buy government debt to maintain a ceiling of 0.375% for Treasury bills and 2.5% for Treasury bonds. The inflation following the war—and the effort of the Truman administration to force the Fed to buy the bonds it issued to fund the Korean War—brought to a head the conflict between preserving stable prices and the Fed’s function as an agent of the Treasury. An agreement among Congress, the Treasury and the Fed produced the Accord of 1951, freeing the Fed from the necessity of supporting the market for federal debt. The massive quantitative easing during the current recovery has led the Fed to purchase debt on a scale that far exceeds anything that occurred before the 1951 Accord. The Fed bought less than 12% of the $1.9 trillion World War II debt as measured in 2009 dollars. Since the fall of 2009, when the recovery began, the Fed has purchased $1.7 trillion of Treasurys and $1 trillion of mortgage-backed securities, directly and indirectly funding more than 55% of federal debt issued during the recovery. Debate continues to rage over what benefits have accrued to the economy from the Fed’s near-zero interest-rate policy. But there is no debating the fact that Fed policy has made it possible for the federal debt held by the public to double, while the cost to the Treasury of servicing that debt has actually fallen—lowering the federal deficit by some half a trillion dollars a year. No matter how pure the Fed board’s motives may have been, the fact remains that today every member of the Board of Governors is an Obama appointee. This has occurred because—while the Federal Reserve Act provides terms of 14 years—the average tenure of members appointed in the past two decades has fallen to less than five years. As long as board members choose to serve short terms, there will always be a real question about how independent and nonpartisan the board is. The independence of the Board of Governors could be strengthened by mandating that no more than four of the seven members can be from any one political party. 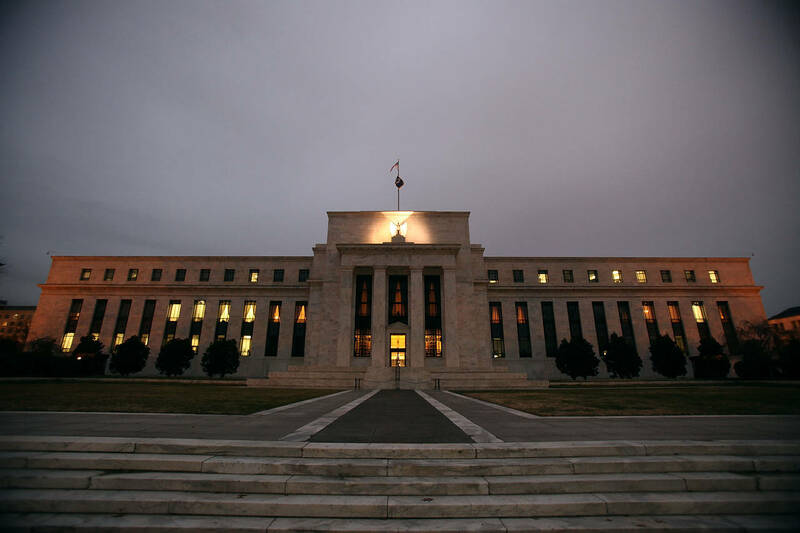 The central bank’s independence could be further enhanced by increasing the number of the Fed’s regional bank presidents serving in rotation on the Fed’s monetary policy-setting body, the 12-member Open Market Committee, from four to seven. The U.S. has long recognized that the accountability of federal regulatory agencies is best enforced by bipartisanship, transparency and oversight. The 1887 Interstate Commerce Commission had a five-member bipartisan board with no more than three members from the same party; and the agency was funded by annual congressional appropriations. Bipartisan boards funded by congressional appropriations have been the norm from the Federal Trade Commission in 1914, the International Trade Commission in 1916 and the Securities and Exchange Commission in 1934, down to the Commodity Futures Trading Commission in 1975 and the Federal Energy Regulatory Commission in 1977. The Fed’s regulatory powers have grown since the 1930s, and thanks to the 2010 Dodd-Frank financial reform, the Fed is now the country’s most powerful regulatory agency. The central bank has hundreds of regulators embedded in the front offices and board rooms of the nation’s major financial institutions. It dictates business practices, imposes regulations—some written by foreign regulators—and exercises broad and unaccountable discretionary powers that could determine the success or failure of virtually any financial institution in America. The Fed’s independence in conducting monetary policy should be strengthened, recognizing the dramatic change in the tenures of board members, but a bipartisan board is indispensable for the nation’s most powerful regulator. The Fed’s regulatory and supervisory activities should be subject to the transparency and public comment provisions of the Administrative Procedure Act and the same constraints that hold other regulatory agencies accountable. All Fed regulatory activities should be subject to rigorous cost-benefit analysis and the Congressional Review Act, which enables Congress to disapprove agency rules that would have a major impact on the economy. The Fed’s lack of accountability as the nation’s dominant regulator is at odds with our commitment to the rule of law and the principle of checks and balances, and is a growing threat to our economic freedom. Mr. Gramm, a former chairman of the Senate Banking Committee, is a visiting scholar at the American Enterprise Institute. Mr. Saving is an economics professor and the director of the Private Enterprise Research Center at Texas A&M University. Posted on October 16, 2015, in Postings. Bookmark the permalink. Leave a comment.